Who would have predicted that Obama — or any Democratic president — would inspire a headline like this one in the Washington Post: “In debt talks, Obama offers Social Security cuts“? Isn’t Social Security supposed to be the third rail of politics? Isn’t it the Democratic party that has inspired 249,000 Google hits on the phrase “balancing the budget on the backs of the poor”? As near as I can tell, Obama has expressed nothing more than a willingness to tinker with the formulas for calculating inflation for Social Security and other entitlement programs. Only in Washington is slowing the growth of something considered a “cut”. the enormous opportunity for conservatives that has taken shape since the beginning of the year. Just a few months ago, Obama was asking for a “clean” debt-limit increase. That is, an unconditional hike without spending cuts or reforms.Republicans responded by making clear that there would be no increase to the $14.3 trillion debt limit without fundamental reforms, including to entitlements, and without spending cuts larger than the debt-limit hike, enforceable limits on future spending, and no tax increases. Entitlement reform is essential not because of any rich-versus-poor calculus, but because the programs are unsustainable in their current form. By signaling that some change in entitlements is inevitable, Obama is giving Republicans a bit of protective cover against toxic class-warfare rhetoric. Republicans have gotten to this point by digging in their heels against tax increases and against raising the debt ceiling — but at the end of the day any budget deal is going to include tax increases, a higher debt ceiling, or most likely both. If purists force a government shutdown in August to avoid exceeding the debt ceiling, each side will of course point fingers at the other. But Republicans have seen this movie before. In 1995, Bill Clinton triggered a government shutdown by vetoing budget bills — yet Republicans ended up shouldering the blame, and Clinton was re-elected. 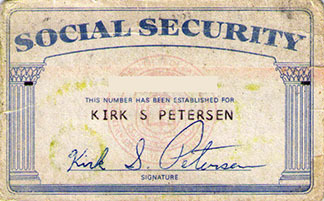 This entry was posted in Uncategorized and tagged Conservatism, Financial Meltdown, Obama by Kirk Petersen. Bookmark the permalink.